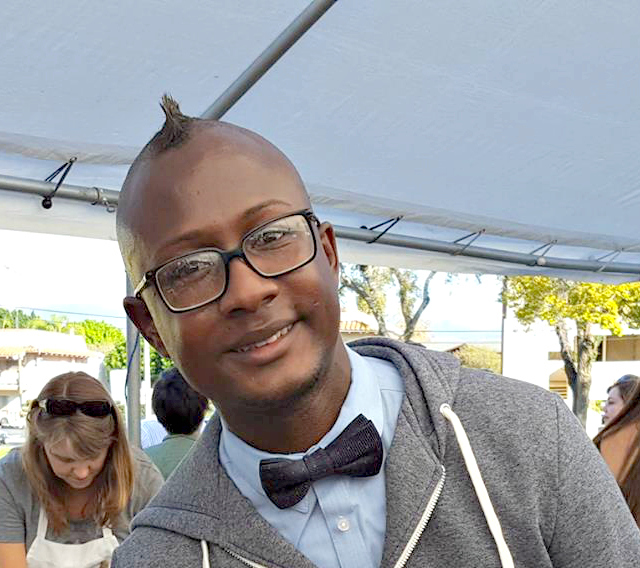 TyRon Jackson dedicates his free time to organizing and providing wonderful opportunities for the homeless and those struggling, to help encourage them to never give up and to feel valued and cared for. TyRon’s childhood was not easy, as his large family at times was forced to live in a motel, and he was frequently subjected to homophobic slurs and taunts at school. However, he discovered he gained self-esteem through volunteer work. In 2009, TyRon launched Operation Warm Wishes, a free Thanksgiving dinner that, in the first year, served 30 people. Since then, Operation Warm Wishes has grown to include events such as anti-bullying night, food drives, Christmas Pancake Breakfast and Laundry Day for the Homeless and Families in Need, Halloween Costume and Food Giveaway; Shower You With Care providing showers for the homeless, Student Kickball and School Supplies Giveaway, birthday celebrations, hair cut days, free laundry days, shopping sprees and many, many other special events that provide support to those in need and homeless individuals, veterans, families and children. TyRon says that all of his events are meant to be fun, motivational, encouraging and inspirational for those who may be having a hard time and struggling to get by. He recently organized 115 kids to go on a shopping spree with each one getting $30 to spend. A component of the experience involved the children learning how to budget and spend their money wisely. In addition, he frequently gets calls for help from the community, as when recently a pregnant woman who was living in her car with her two children called to ask for help because their laundry was piling up and beginning to mildew. TyRon took them to a laundromat and helped them get all of their laundry clean and dry. That’s the personal touch he adds to all that he does. And, because of being a target as a gay person, especially in his youth, TyRon makes a special point to be sure that everyone knows they are important, valued, included and respected for who they are. Our annual Diverse Community Leaders Award honors individuals and groups who have made extraordinary contributions to Orange County in human or civil rights.